Facebook’s right-hand-side ads are undergoing a makeover, as the social network announced in a post on its Facebook for Business page that they will more closely resemble News Feed ads. Some advertisers will begin seeing the option to run the new right-hand-side ads later this month, Facebook said, with full rollout set for later this year, and support for both formats maintained throughout the transition process. 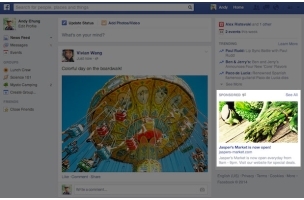 The proportions of right-hand-side ads will match those of ads in the News Feed. Users will see fewer ads on the right-hand side. The new look of the ads, along with their new distribution, is intended to offer a better ad experience on Facebook. In early tests, we’ve seen increased engagement — up to three times more — from people seeing the new design. Because the updated ads mirror the overall shape of desktop News Feed ads, marketers will no longer have to choose separate images for News Feed and right-hand-column placements. They can now use the same image for both. 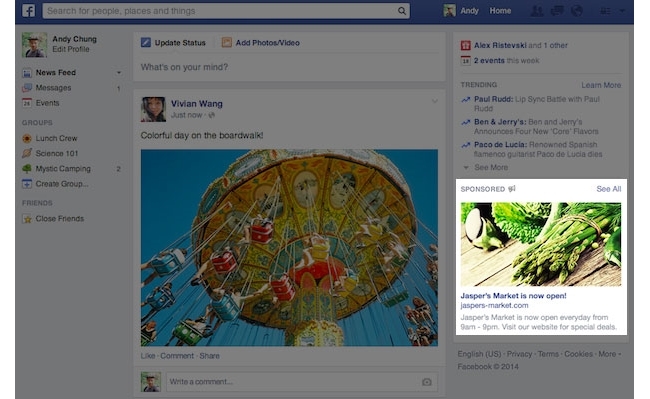 Readers: What do you think of Facebook’s new design for right-hand-side ads?